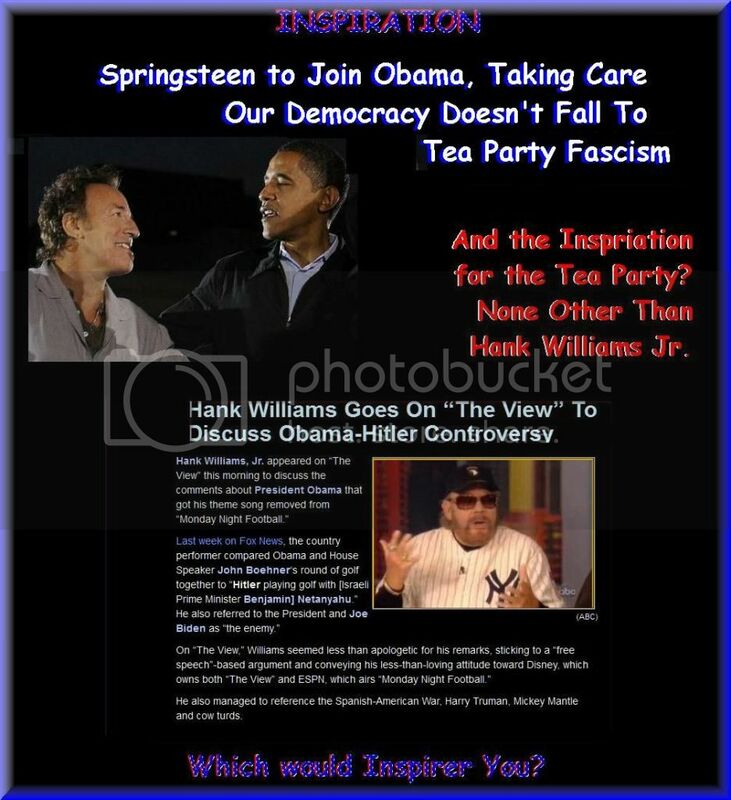 Hmmm, let me think now, who does the GOP Tea Party have to inspire their base that's equal to Bruce The-Working-Man Springsteen? The election is coming up on all of us and we all have strong feelings about it. Ive been getting asked a lot about where I stand, so for those who are interested, here goes. Right now the oppositions resort to voter suppression in so many states is not receiving as much attention as it deserves. I believe that all of us, of whatever views, should be opposing these anti-voter, anti-citizen efforts. Thats why I plan to be in Ohio and Iowa supporting the re-election of President Obama to lead our country for the next four years.